SpyBubble is a perfect choice for busy parents, who want to track their children any time and everywhere. If you want to track a target device in a stealth-mode, then this spyware does not suit you. The thing is that the SpyBubble tracking and monitoring software has a visible icon on the target device, thus a monitored person can see that he/she is being tracked. Furthermore, the Spybubble spyware sends notification to them daily. However it is a very nice app for people who want to track employees or kids and want to act completely in a legal way. WhatsApp and iMessages Tracking, etc. For more information, you are welcome to visit the official website of the SpyBubble tracking app, here. Currently, in case you have any questions, you may either search for the answer in the FAQ section of the website or simply contact the SpyBubble support team (unfortunately) only via e-mail. 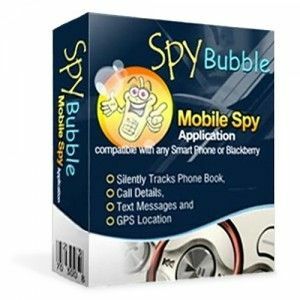 SpyBubble tracking software is compatible with all popular platforms like Android, IOS and Blackberry. Important Information: currently a person can not buy this software, because the SpyBubble website is under reconstruction. You should read Refund policy of SpyBubble before purchasing. In case you bought a product and you are not satisfied with it, you can ask for a refund contacting support team.